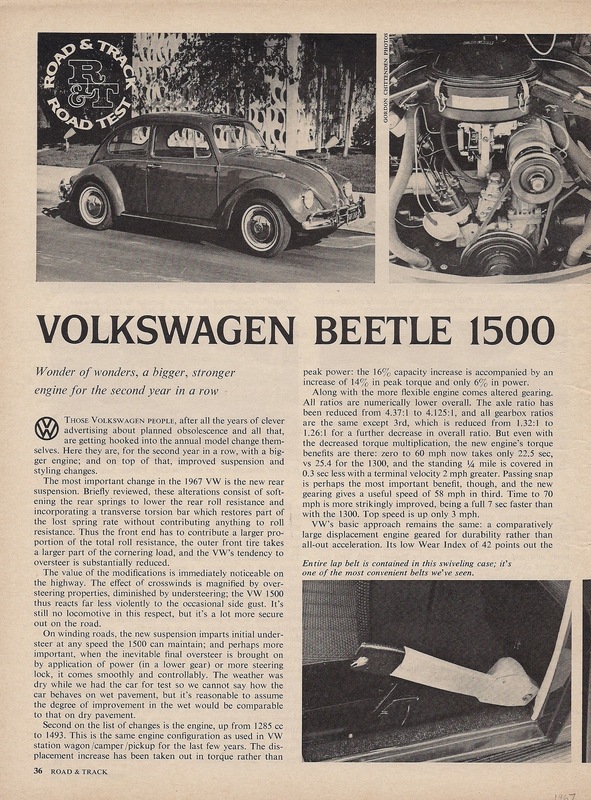 This is the first time I’ve ever seen any ’67 Beetle road test literature. You have to love results like 0-60 MPH in 22.5 seconds. Volkswagen of old truly set the standard for life in the slow lane. It might help to enlarge each image below so you’re able to read the article a bit easier. Eric, Where did you find this excellent article? Submitted by you! Sorry, I forgot to credit that. All you, Jody! No worries Eric, that’s just my sarcastic humor. Interesting the location of the 12 volt sticker. Most 67’s I see the sticker is below the dome light switch.